Switzerland - a great country in the heart of Europe. It is fascinating for its clear lakes surrounded by the Alps and a healing air. This tiny country with picturesque villages, great skiing resorts and quiet pace of life attracts tourists and real estate investors who appreciate stability and a healthy lifestyle. 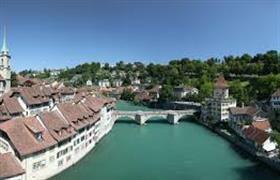 Properties in Switzerland - it's almost the perfect investment in our turbulent times. The country, as we all know, is famous for its rich and reliable banks, an accurate clock, a medicine and the highest quality of standard of living, combined with a European thoroughness. This state - one of the most economically stable in the world. If you are lucky to be a resident of Switzerland, the question on the future of your children will not stand at all. And this is not only for all of the above reasons, but also in terms of the highest quality education and the subsequent employment. The housing market in the country was not affected by the recent global economic crisis. Respectively, the prices in Switzerland are not higher than in France, for example. There are cases when similar objects of housing are even more affordable. In other words, in the whole country, the price level is quite affordable. The question before foreign investors is not even in the price, but in the law, which limits the ability of the country's non-residents. According to the existing law, not more than 1,500 foreigners per year may be allowed to purchase real estate, and these permits are issued only in certain regions. Foreign citizens that wish to purchase a house or an apartment in the country must fill out a form, on which they held a federal inspection - after that they can sign the contract in the presence of a notary. In order to buy the land for construction in Switzerland, you have to live in the country for 5 years and prove the need for this property. Before you buy a home or commercial property in Switzerland, you need to invest a lot of money in the economy of the state - you can buy property only to a legal entity, having invested at least 200 thousand dollars. The government allows foreigners to buy objects with an area of not greater than 200 square meters, and if you had lived in the country for 12 years you can purchase a second object. Only then it is possible to obtain a citizenship. Overcoming all the nuances in achieving the goal is worth it, because it is - Switzerland!